Here, in this post we are going to tell you about the best headphones under 2000 Rs with impressive bass and excellent clarity. This post includes all types of headphones that are in between the range of 1000, 1500 and 2000 Rs. 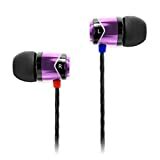 Here you will get all the best on-ear, over the ear headphones and earphones under 2000 Rs. So without wasting any time lets jump onto the list. Firstly we will see earphones. Then we will have a broad comparison of the headphones. If you got any doubt, you could ask us on our Facebook, Twitter or Google Plus page. Links to social pages are given in the sidebar area. You can also comment down down the post. We reply as soon as possible. Usually, we take 2 to 3 hours at max. 10 best earphones under 500 Rs. Best Earphones under 1000 Rs with mic. Best over the head headphones under 500. Below are six best earphones that you can buy under 2000 Rs. Whether you like EDM or romantic songs, you will be going to love these earphones. For bass lovers, first, two option is best. So let’s move on to the list. We keep an eye on the market. Whenever a good quality earphone is launched, we will add it here. Love the bass? Sony has something special for you. Featuring a powerful bass duct, the in-ear headphone delivers high-quality audio every time. I am not a brand freak, but this earphone is awesome. The crystal clear and crisp sound that it delivers will make you buy it. Sony MDR-XB50AP also prevents the background noise from ruining your listening experience. This trendy headphone comes with a sleek and sophisticated design, which helps in enhancing your style while you are outdoors. It has an in-line mic with a button on it. This button can be used to play, pause or change the volume level. You can also pick and end calls with the button on the microphone. For all the bass lovers in India, this is the best earphone under 2000 Rs with the mic. It has 12 mm driver which is enough to shake your ears with deep bass and crisp sound. You don’t have to worry about tangles thanks to the wire with serration. Sony MDR-XB30EX is the second option in our list of best earphones under 2000 Rs. This is again a bass heavier earphone from Sony. From Music to watching movies it performs brilliantly. It lacks in only one thing which is the inbuilt mic. But on the other hand, its price is lower than the first option. It has soft hybrid silicone earbuds that come in four sizes for a perfect fit and solid sound isolation. This earbud also helps in noise isolation from surrounding noise. Moreover, serrated cord keeps the wire tangle free. Sennheiser CX 275 S is the third best earphone under 1500 Rs. We are not going to compare it with first two earphones. Because both above earphones are above, 1500 Rs and completely beats Sennheiser. So now we have come down to the price range of 1500 Rs. Sennheiser, you all know about the reputation of this company. I have used and tested a lot of Sennheiser headphones and earphones. This company always have its earphones in the line of best earphones. Sennheiser CX 275 S is an in-ear universal mobile headphone. It means that it is compatible with almost all major cell phones and laptops. We have tested this earphone with a lot of laptops and smartphones, and we have haven’t got any compatibility issue. Design-wise, it looks very fresh and trendy. It has an inline mic with a single button to manage tracks and calls. Regarding bass, it is not as good as Sony earphones given above. But considering its price and sound quality this earphone is worth buying. Moreover, it comes with 2-years warranty that no other earphones have. You all know about the quality of Apple phones and headsets. Though they are costly, they are worth it. Apple MD827ZM/B is one of the best earbuds that you can buy under 2000 Rs. It has outstanding music quality. From fitting to looks it has scored good marks. These earphones provide a good noise isolation not as good as other earphones here. But you can use them outdoors while much disturbance. They are thunderous. If you love loud music, you will be going to love them. But keep in mind loud music for long hours is bad for ears. Apple earphone comes with a mic that performs really good. The sound of the call receiving end was quite clear. There are two buttons on the mic that can be used to increase or decrease the volume. Soundmagic E10 has an ergonomic design which offers a snug in-ear fit. It is available in colours like black and purple. These earphones sport a youthful design which looks pretty. It comes with three pair flat silicone ear tips (S/M/L), one pair double flange silicone ear tips (M), cable clip and travel pouch. Overall Soundmagic E10 is a good in-ear headphone. Music quality is just mind-blowing. From bass to highs it has everything in the balanced amount. But there is a little problem which is its price. If you are getting this earphone below 2000 Rs, then it is worth buying. Otherwise above 2000 Rs, I think that it is not good to buy. It has an inbuilt mic with a button to pick up calls and control music. The gold plated audio jack provides distortion-free music with long durability. Due to twisted cable architecture, you don’t have to worry about tangles. Skullcandy S2PGGY-392 is the second best earphone under 1500 Rs. This earphone comes in the fifth place in our list of best earphones under 2000 Rs. This earphone has decent audio quality but not better than above headphones. That is why it is in the fifth place. 9 mm driver is powerful enough to give you loud and clear sound. The bass is quite good, so is the treble. It has an in-line mic for calls and audio recording. Even at full volume, the sound is pretty clear. It is compatible with smartphones, MP3 players, tablets, and other audio devices. It comes with a 120 cm flattened cable that is tangle-free and makes using the pair convenient. This pair of earphones is also lightweight and portable so that you can carry or store it without any hassle. So overall it is a good alternative to Sennheiser CX 275 S below 1500 Rs. We have covered all the best earphones under 2000 Rs before this. And from here, the second part of the post starts. Here we will see best headphones under 2000 Rs. We have covered here best over the ear and on the ear headphones. Some headphones come with the in-line mic. But most of themdon’tt come with the mic. We have also got one Bluetooth headphone for you. Also have a look on the best over the ear and on the ear headphones below 500 Rs. Sony XB450 is the best on the ear headphone under 2000 Rs. It comes in two variants; one with mic and one without the mic. It has a lot of colour options to choose from. The black and the blue one is more famous. What makes Sony Xb450 as the best on-ear headphone under 2000 Rs? Well from looks to music quality there is no competition to this headphone. The first thing that you should look in any headphone is the comfort level it provides. Soft cushions and adjustable headband give a comfortable music listening experience. You can use it for long hours without hurting your ears. This headphone can go deep down up to 5 Hz frequency sound which is amazing. The deep and thunderous bass that it produces is impressive. If I have to buy an on-ear headphone below 2000 Rs, I will buy this headphone without any other thought. Sennheiser HD 202 is an over-ear headphone. This headphone is very comfortable and lightweight as compared to other over-ear headphones. The lightweight diaphragm material with turbine embossing produces extremely low-frequency bass. You will get a realistic bass experience. It comes with a 3-meter long cord. While using this headphone you might be annoyed with cable length. But for laptops and desktops long cable is good. You can maintain more separation from your desktop. The lows, mids, and highs are in definite proportion. If you are a gamer, or watch movies frequently or just listen to music at home. Then this headphone is best for you below 2K. If are looking for a bass heavy, stylish looking portable headphone then buy Sony Xb450. But for comfort and indoor use buy Sennheiser HD 202. For games, watching movies and listening to music this headphone is my recommendation. Sennheiser HD 202 is the best over the ear headphone under 2000 Rs. This is the third best headphone in the list of best headphones under 2000 Rs. This headphone also got impressive bass like above Sony headphone. This headphone stands in competition with Sony headphone. Both headphones look premium and stylish. This headphone is priced lower than Sony one. But regarding overall music quality, Sony is somewhat better than Philips headphone. But considering price difference both are big at their price tag. But somewhat Philips headphone is more comfortable than Sony headphone. It is flat foldable for easy storage on the go. You can see the pic, how it looks after folding. 40mm neodymium speaker drivers give high impact bass. Moreover, changeable ear shell caps for customization to your taste. You can change the ear shell to different colors provided with the headphone. The only thing that I don’t like about Philips is six months warranty. I mean, every headphone company is now giving one-year warranty at least. Philips is still giving six months warranty. Though I never have to go to Philips service center for repair of any Philips headphone that I have used in the past. The ATH-AX1iS over-ear headphones feature 36 mm drivers for optimal sound. Generously cushioned ear pads provides comfort during extended wear. It has a fold-flat design that allows for easy storage. You can just fold it and carry with you without worrying about damage and space problem. The in-line mic can be used to volume and track controls. A single button let you answer/end calls, play/pause/control music & videos and adjust volume with compatible smartphones and listening devices. Sennheiser HD 202 is better than Audio Technica ATH-AX1iS headphone regarding audio quality and price. But Sennheiser headphone doesn’t have the mic. So if you need an in-line mic with the headphone, then ATH-AX1iS is the only best headphone with mic under 2000 Rs. 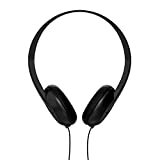 Sennheiser headphones always are most rated headphones online on Amazon, Flipkart, and Snapdeal. These ratings are given by the customers who bought them. Sennheiser has always been the among the few headphones companies that rule the market in the budget range. Sennheiser PX 180 is open supra-aural headphones that are great for music on the move. They feature a rich natural sound for captivating listening. Plus their foldable design makes them ideal for outdoor use. You can see the image above how this headphone can be folded. This headphone is suitable for outdoor use. Due to its lightweight and foldable, it can be easily carried. Moreover, the sound quality is brilliant. The bass, sound clarity, and treble everything are balanced. This is the best portable headphone under 1500 Rs. Skullcandy uproar S5URHT-456 is very stylish and lightweight for the ear headphone. Besides its bold looks, it is very comfortable to ears. You can use it for long hours, and you are most likely to feel no pain. This headphone is available in five colour variants. Each headphone has a mixture of two colours such as black and red. The user can take calls and manage music on virtually any smart device directly from the button on the left earcup. Push once to answer/end calls or play/pause music, twice to track forward, or three times to track back. Skullcandy uproar S5URHT-456 headphones are custom-tuned to deliver powerful attacking bass, natural vocals, and precision highs for every type of music. Everything about this headphone is ok, but the price is not fair according to me. The price should be around 1600 Rs then this headphone will give a style remark. If you are looking for a very lightweight on the ear headphone with the stylish look, then you got your companion. Skullcandy S5LHZ-J569; Why they give their products such a complicated name? It is so hard to remember the name and write it. Anyways, you can get this headphone around 1200 Rs or below. I wouldn’t say that audio quality of this headphone is brilliant, but it is good to buy. The main USP of this headphone is its looks, design, and lightweight. While using it outdoors, you won’t feel like you are carrying something on your head and ears. The Skullcandy headphone is very gentle to ears. Skullcandy S5LHZ-J569 is available in various colours such as blue, white, red, and black. If you are getting it below 1300 Rs, then buy it otherwise ignore it. Boat Super Bass Rockerz 400 is a Bluetooth headphone. We are not going to compare this headphone music quality with the headphones above. Because it is the only headphone here with Bluetooth connectivity. But it’s music quality is decent. You won’t feel like you are using some cheap headphone. As it has got Bluetooth connectivity, So it is worth to be here on this list of best headphones under 2000 Rs. Surprisingly due to weak competition, this is the best Bluetooth headphone under 2000 Rs. The other Bluetooth headphones that are better than this Boat headphone are above 2000 Rs. Soon we will do a review of those headphones also. This headphone has a rechargeable 250mAh Li-polymer battery that provides up to 8 hours of playback time. We haven’t faced any compatibility issue with this headphone. You can plug it into the laptop, tablet or smartphone. You can recharge it back in just in 2-3 hours. The boAt Rockerz wireless headphones can be charged via micro USB almost anywhere. It has the dual mode; you can use it wired or wirelessly. Above all these features you will get the one-year warranty. Huh! Such a long post. It took me a very long time to write this post.I have provided you a detailed list of best headphones (earphones)under 2000 Rs. Now it’s your time to tell us, How was the post? Do you have any question, suggestion or doubt? Comment down below. Usually, we take 3 hours max to reply you back and sometimes within in just a few minutes. If you like this post, then show some favor to us. Share this post on Facebook, Twitter and Google Plus. Your shares help us to grow and work better.